Horizon Hobby Airmeet 2018 « Big Squid RC – RC Car and Truck News, Reviews, Videos, and More! The legendary Horizon Hobby Airmeet is coming up on August 18th and 19th in Donauwörth-Genderkingen, Germany. The festival is celebrating its 10 year anniversary. You will get to see some great RC action in the air and on the ground from Saturday morning till Sunday afternoon including a spectacular night flight show. Big Squid RC will be there hosting the freestyle bash area. Just wanted to invite everyone over to have fun with us. There will be tryouts for kids and everyone interested in the hobby. Don’t forget to bring your rig. 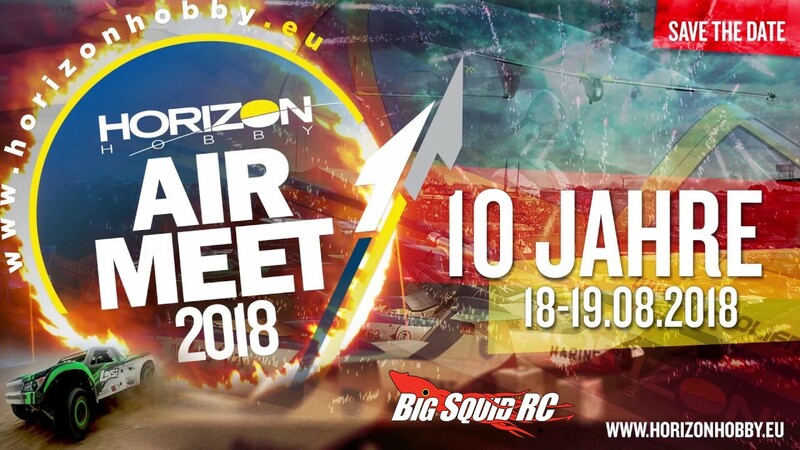 Save the date and see you at the Horizon Hobby Airmeet 2018. For more information hop over to their facebook site.